Traditional red beans and rice eaters will notice that I’ve committed a serious crime by not including delicious, delicious sausage. Even though we DID get some delicious sausage this week from Friends & Farms, I stupidly didn’t plan ahead and just pan-fried it with some maple syrup. Tasty, but shortsighted. 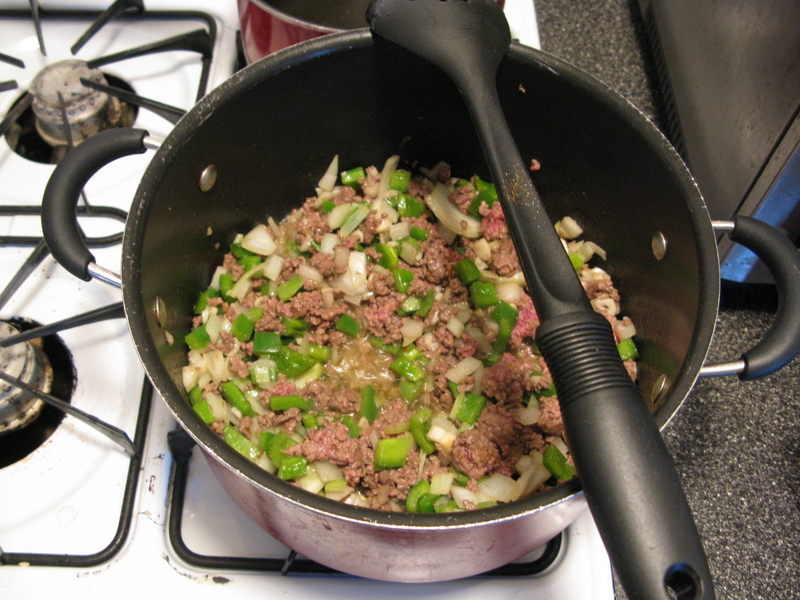 However, we also got some very good ground beef, so I substituted that, with a minor revision in the recipe. Note that you can add other vegetables here if you wanted, I just didn’t have any others handy. 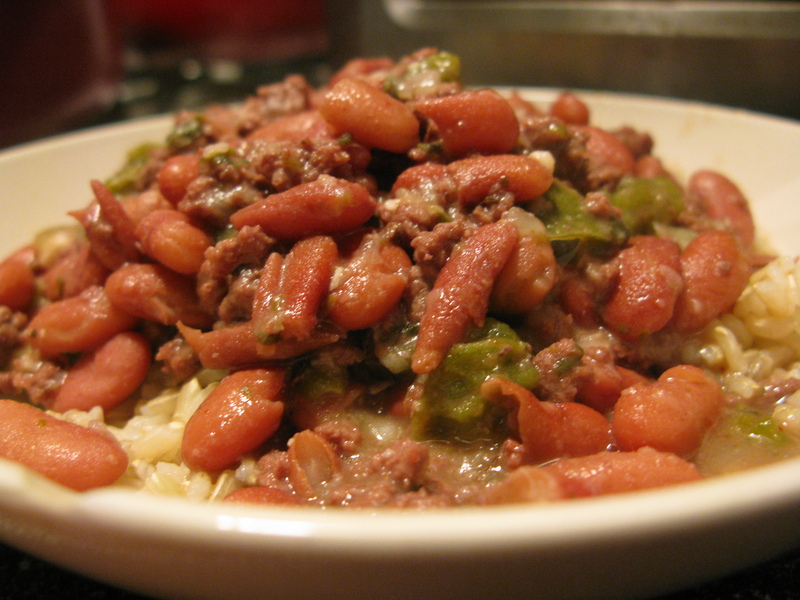 After the vegetables and beef have sauteed all the way, add in the beans and enough water that there is about an inch on top of the mass of food, about 6 cups (I added 7). Add in the rest of your spices, stir, and bring to a boil. 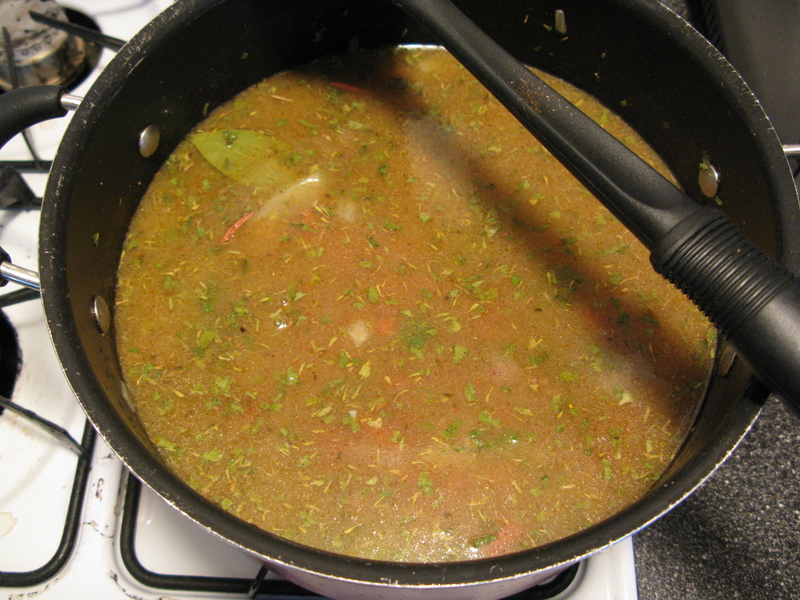 Cover and simmer for 2-3 hours. If you are using sausage instead of beef, add the sausage after the liquid has simmered for 2 1/2 hours (definitely don’t simmer that delicious spicy sausage for 2 1/2 hours!). Basically, simmer this bad boy until the sauce is thickened to your liking. I boiled it down until it was about the consistency of light cream and then took it off heat right away. Prepare some rice and serve hot on top of rice. Definitely add salt to taste – it will be overpoweringly spicy (as in full of spice, not hot) otherwise, and enjoy! This entry was posted in Stews & Other Things in Pots by Jeff. Bookmark the permalink.